Posted on February 6, 2019 at 12:27 pm. Congratulations to Julia Sonn and Marwan Mohamad! 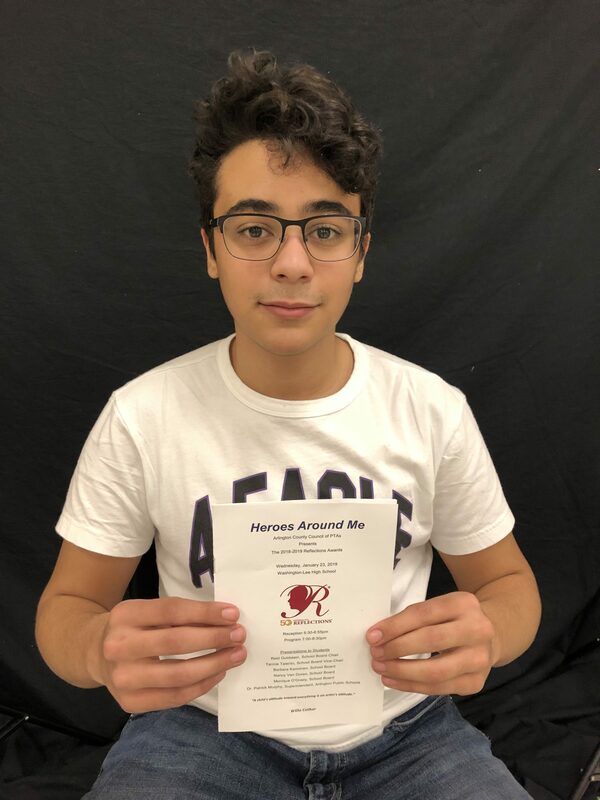 Julia and Marwan have each won 1st place for the 2019 PTA Reflections Awards at the County level. 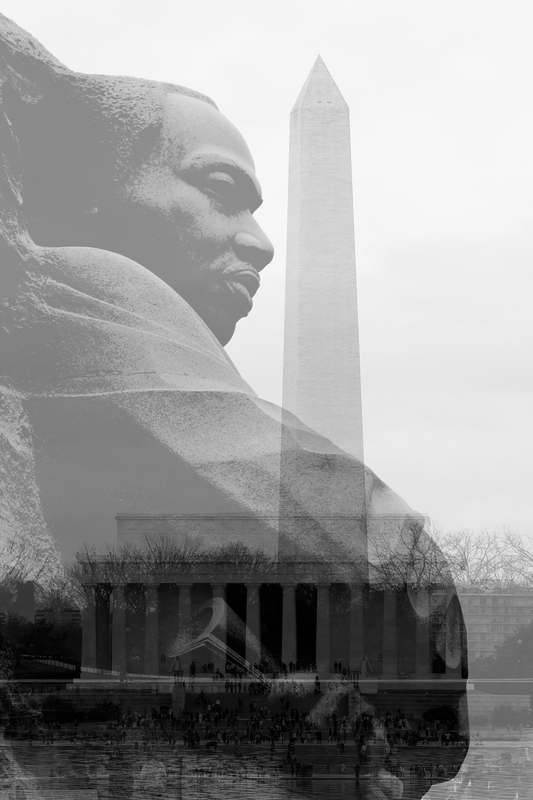 The theme for this year’s PTA Reflections was, “Heroes Among Us”.Julia won Outstanding Interpretation for her photograph, “Heroes of History”, depicting images of the MLK Memorial, Washington Monument and the Lincoln Memorial.Marwan won Outstanding interpretation for his video “Brendan O’Toole: Heroes Among Us”. Meeting and interviewing Sgt. O’Toole is the highlight of his time in Broadcast Journalism at Wakefield. To see his award winning video, visit the school news site: https://whschief.com/22018/showcase/sgt-brendan-otoole-heroes-among-us/.We should get the results of the district level competition over the next few weeks. 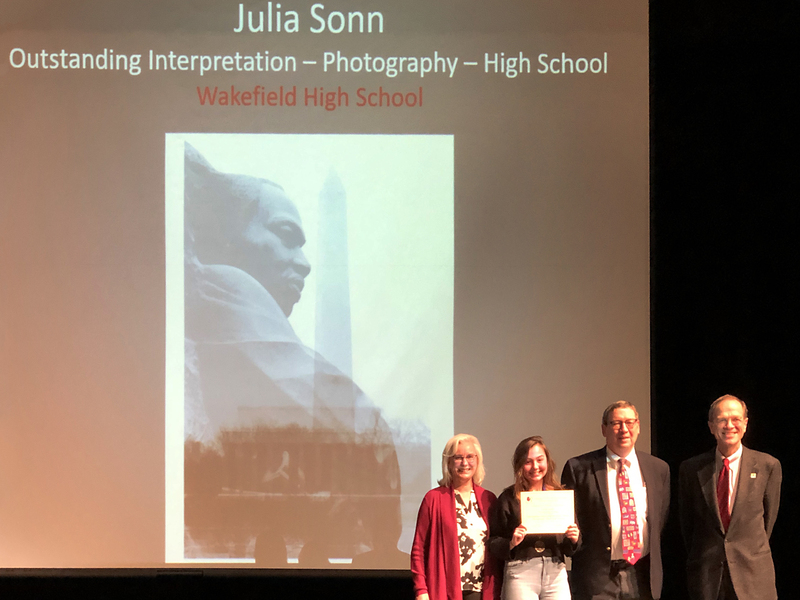 Please congratulation these outstanding Wakefield artists and wish these Warriors good luck in representing Arlington County at the District PTA awards!